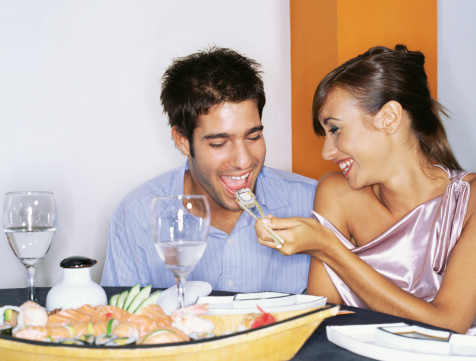 Valentine’s Day is a time of love and commitment, and nothing says “I love you” more than a night out on the town with dinner at Las Vegas’ premier sushi restaurant. 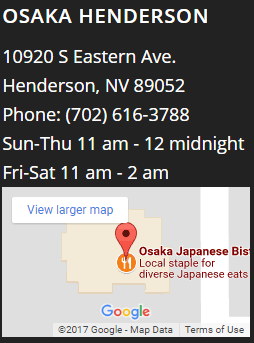 Osaka of Las Vegas, located conveniently close to the strip, is the perfect place for your V-day getaway, with 3 different dining experiences to fit your tastes. Offering a sushi bar, teppanyaki grill, and traditional tatami room dining, couples will be pleased to find their appetite sated in many different ways. 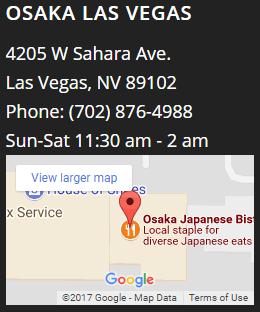 With our W. Sahara Ave. location conveniently located close to the strip and open until 2 a.m., Osaka makes for the perfect date night dining spot. We at Osaka will serve you heart-shaped sushi for this special day, and nothing is better for your own heart than the anti-oxidant rich fish that our chefs prepare it with! Sushi is not only delicious, but also extremely healthy. High in omega-3 fatty acids, which contribute significantly to overall life expectancy, sushi is a much sought-after healthy choice for a filling meal. Fish is lean, often very low in calories with high-quality protein, and the seaweed (or nori) which wraps most sushi rolls is rich in nutrients such as calcium, magnesium, and iron. All of that together makes Osaka sushi a healthy choice- one which can keep you and your loved one by each other’s sides to a ripe old age. Remember, Valentine’s Day comes but once a year. 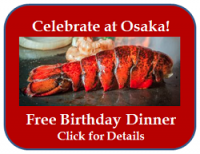 Don’t miss out on the occasion to treat the man or woman in your life with a night to remember at Osaka Sushi of Las Vegas. 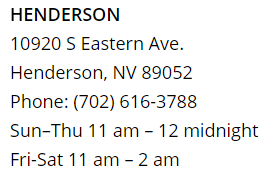 For more information or to make your reservations, visit www.lasvegas-sushi.com or call us at (702)876-4988. From the staff here at Osaka Sushi, wareware wa sugu ni o ai shimashou (we’ll see you soon)!